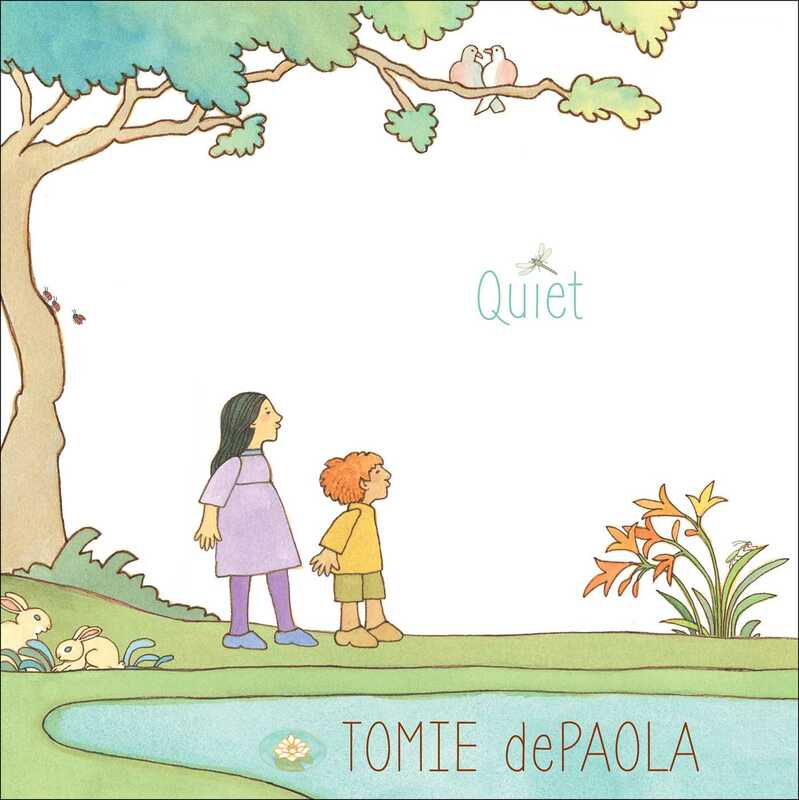 In this gorgeous and contemplative New York Times bestselling picture book, legendary author-illustrator Tomie dePaola reminds us that mindfulness—being quiet, still, and present with one another—is a very special thing. Everything is in such a hurry, busy as busy can be. The birds are flying so fast, the dragonfly is zooming over the water—even the trees are waving their leaves. So what if we sit here, you next to me…and we can just be? "A white-bearded grandfather imparts his gentle wisdom to his grandchildren—a girl and a boy—as they meander through a placid green space. Together, the grandfather and children make note of the bustling natural world.... The grandfather suggests that the children try another way of being with him, sitting quietly on a bench.... It seems as though the prolific author and illustrator dePaola is speaking directly to readers on these pages, passing on his own insight. His signature illustration style is so simple that it feels fresh.... A lovely, simple reminder to pause and notice this life." "A grandfather walks with two children, pointing out the busyness in nature around them.... Simple, straightforward, and effective, this book gently encourages children to find comfort in their own quiet moments." "A grandfather, a girl, a boy, and their dog...out for a walk notice the busyness of the natural world around them... [then] all becomes calm, and the children notice the value of being quiet (“I can think, when I’m quiet”) and still (“I can see, when I’m still”).... [a] paean to the virtue of taking time out for reflection (and giving a grandpa a rest). Soft pastel shades, long gentle contours, and plenty of white space create a properly serene world to take in. Call to contemplation, or a grandpa trap? Well, why can’t it be both?" 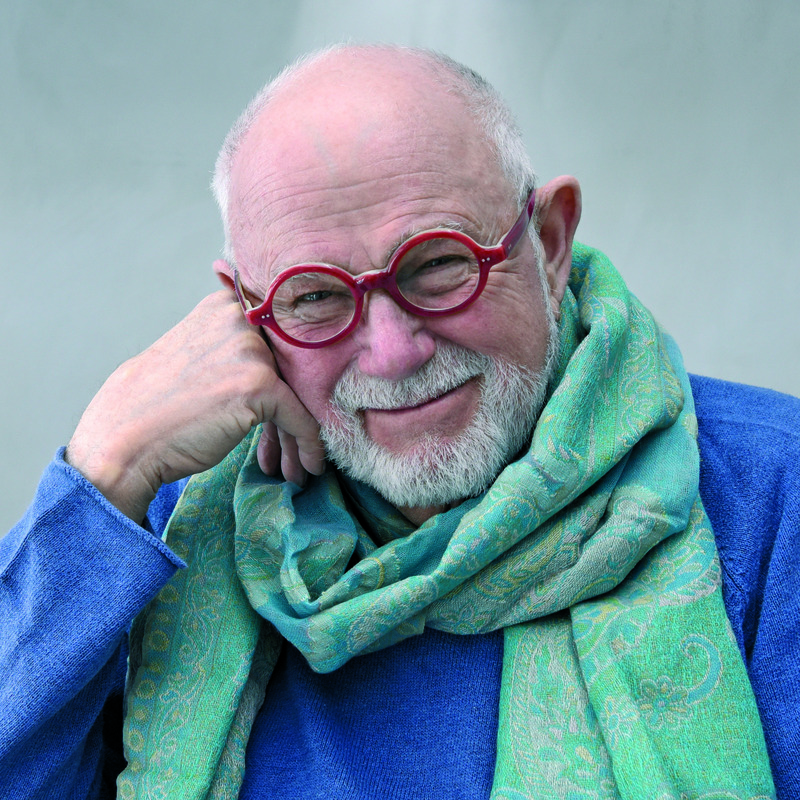 "Nature is a whirl of activity—“busy as busy can be,” renowned children’s book creator dePaola writes... But the grandfather has an idea: he asks the children to sit, “quiet and still,” on a bench with him. As the trio settles, the rest of the world seems to slow, too—and everything and everyone seems more alive and aware... Rendered in soft pastel tones and generous white space and using minimal, poetic text, the book itself embodies the beauty of quietude. DePaola reminds the reader that the great rush of life is not all it’s cracked up to be—and that pausing can open people, and moments, to wonder." "In a park one day, a girl, boy, and their grandfather enjoy observing the busy activities of the creatures around them... Soon both children come to appreciate the benefits of being quiet. DePaola’s signature cartoon illustrations are done with transparent acrylics and colored pencils using a muted palette that aptly matches the story’s theme: “To be quiet and still is a special thing.” ...the value of taking time to remain quiet is an important message to share with children."